Anthropological studies highlight the importance of food in constructing and negotiating various aspects of individual and group identity, including social status. Archaeologists have also explored this topic, working with various types of evidence and frequently applying a diachronic perspective that is usually inaccessible to other disciplines interested in foodways, such as anthropology. Previous studies examining how social status was established, maintained, or negotiated in Early Mycenaean Greece have relied heavily or solely on mortuary data, a necessity given the early focus on mortuary contexts for excavation and publication. In this article, I take a different approach and concentrate on settlement data, in particular the data deriving from those sites that have yielded evidence for the emergence of social inequality. Through the analysis of the cooking pottery repertoire, I investigate the issue of how food was manipulated by those competing for status. 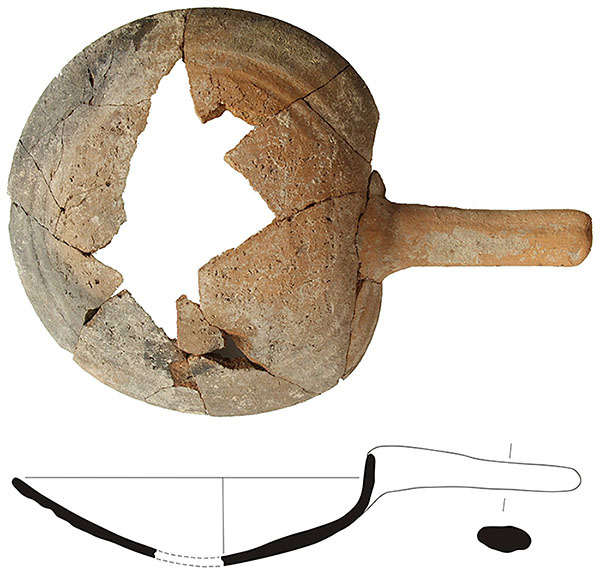 I argue that the appearance of innovative cooking utensils and their sets can be associated with changes in food-preparation practices, leading to more elaborate cuisine. Such a cuisine constituted a very effective means of social differentiation and was extensively used in the highly competitive environment of Early Mycenaean polities.